WEATHER: Another clear, bright sunny day, summer is here! 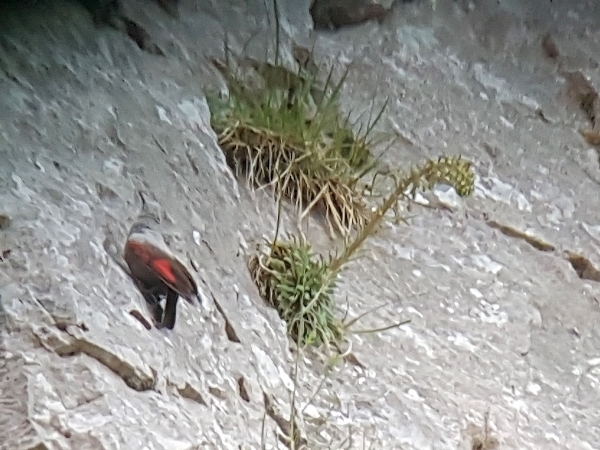 It was 5:30am when I left my room to take some of the group back up to the ‘Wallcreeper site’ for another attempt to see this ‘mythical’ beast. We made good progress and arrived at 6:30 with the intention of staying around an hour before returning for breakfast. Black Redstarts put several appearances throwing us false alarms, looking like Wallcreepers as they dashed across the rock face. 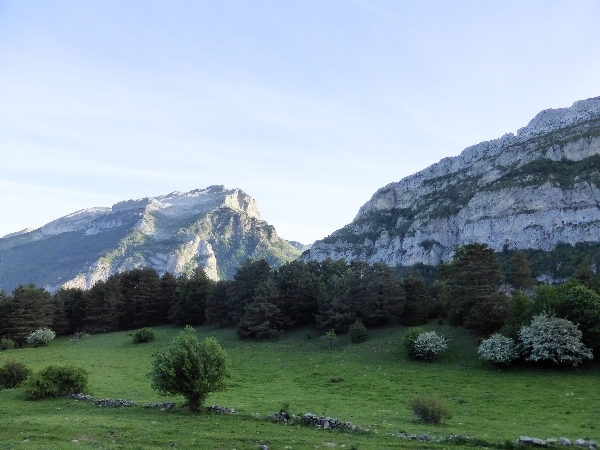 We heard Black Woodpecker calling far down the valley below us, we watched Crag And House Martin, Red-billed Chough and the usual Griffon Vultures drifted over. 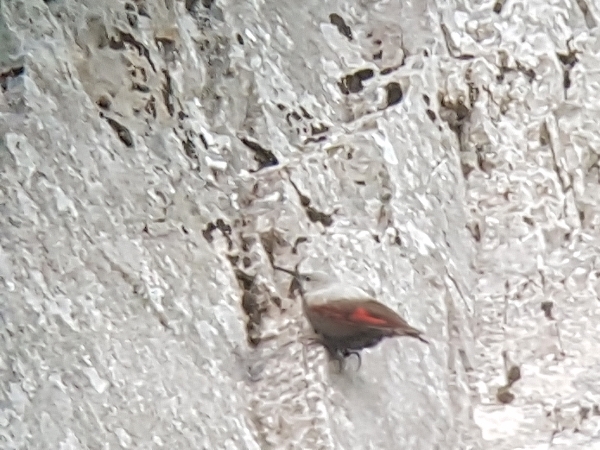 After 50 minutes without a sighting we were getting restless and ready to admit defeat when suddenly a WALLCREEPER appeared not to far up the rock face. It stayed around for 10-15 minutes, showing well and performing its wing-flicking action as it searched the rock face for food. We tried to photograph it and got some record shots before we left. We got back to the hotel only 10 minutes late for breakfast. The rest of the day paled into insignificance for the Wallcreeper-watchers, but we soldiered on. Our first stop after breakfast produced sightings of our first Turtle Dove, we stood on an old bridge watching this bird eating the concrete support wall under the new bridge!! Probably picking up salts or minerals or grit, we also saw Rock Sparrow, a couple of Golden Orioles, Red-backed Shrike and we heard Garden Warbler and Common Nightingale. Our next stop was along the road Arres, a wooded ridge leads down to open scrub then onto cultivated land before it reaches the river Aragon. We searched for Ortolan Bunting which we could hear but it failed to show. We did find Common Stonechat, Cirl and Corn Buntings and a Melodious Warbler but not the Ortolan. The Monasterio San Juan de la Pena sits on a high plateau of ‘pudding stone’ a conglomerate of epic proportions, reaching several hundred meters high and many meters wide. 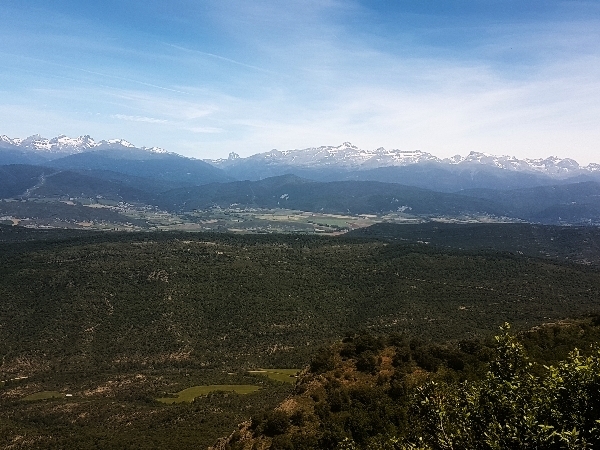 A mirador offers unbelievable views of the Pyrenees high peaks. We walked from the car park up through pine and mixed woodland, not much was on show at all. 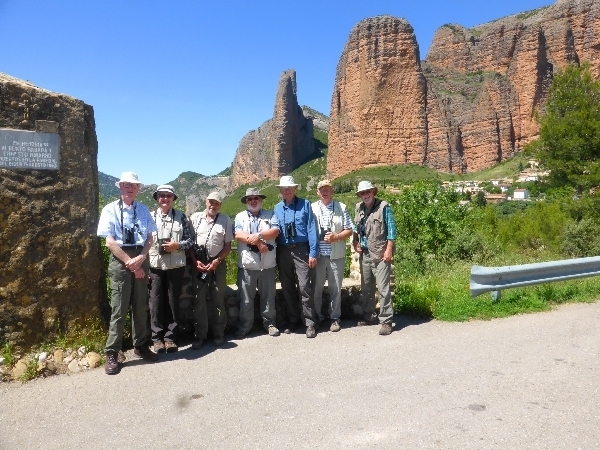 At the mirador we saw a few Griffon Vultures and not else until a Black Woodpecker flew into view after a sequence of ‘drumming’. 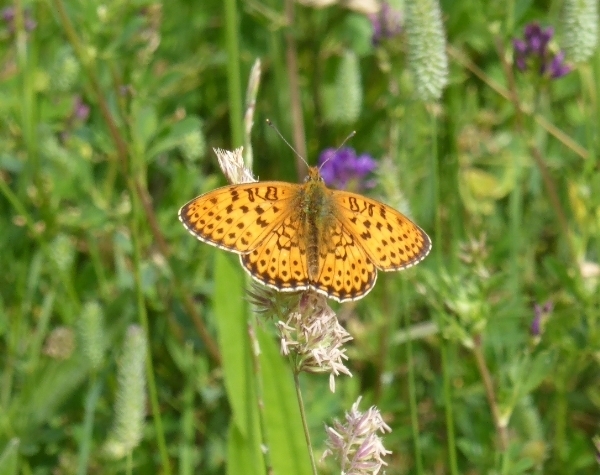 A few butterflies kept us busy too. From the monastery we drove down the Gallego valley which is the route of the river Gallego, we stopped near the bottom of the valley at a large reed-bed. We could hear Reed Warblers but they never appeared. 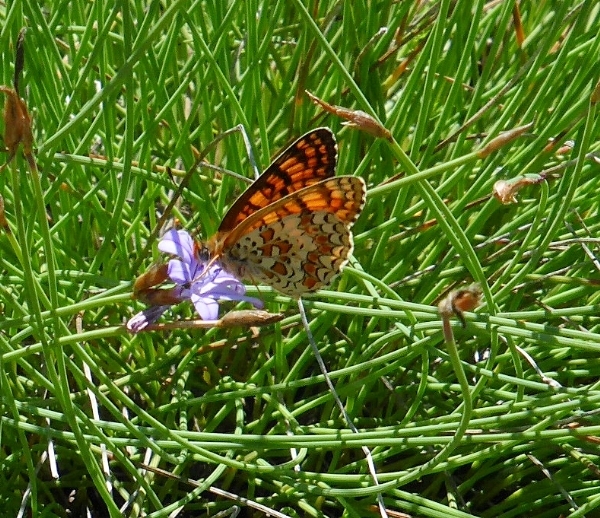 Butterflies and orchids attracted the most attention. For the final two hours we visited the Mallos de Riglos, an area of outstanding natural beauty where huge pinnacles of ‘pudding stone’ tower over the small village of Riglos. Our walk took us immediately below those enormous towers finding Blue Rock Thrush but not the Black Wheatear we had hoped for. After a quick ice-cream we set off for home which took just over an hour. Dinner was another delicious meal, we called the bird log before we retired for the night.